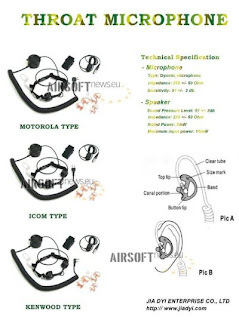 Last time, one of my colleague ask me about the tactical throat mic. At first, i don't even know what is that gear until I google it and found some info on it. Well basically, the tactical throat mic itself is New Generation Technology, delivering clear speech even in high noise environments. The hypo-allergenic silicone rubber housing is held comfortably in place with a slip-resistant, expanding neck band, adjustable to anyone's neck size. These components are all of rugged construction, completely waterproof, durable and easily cleaned and disinfected between uses. The PTT switch is easily located in the exact same position as the microphone, thereby guaranteeing that the mic is in the most optimal range for transmission when the switch is activated. 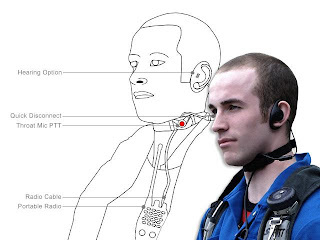 In other words, the microphone will be positioned right up against the throat when the PTT is depressed by the user’s finger. However, some of the individual claimed that this kind of new technology comes with a problem with the sound and intonation of the user itself. I'm can't be sure that this rumour is true because I still don't have those mic and tested it yet but the following video will show you one of the advantages of this throat mic. Again, I can't say that this video source is true and accurate because the result is all depend on the person who already tried the throat mic itself. Check out those video on the newest technology of throat mic and its challenges on the second video. 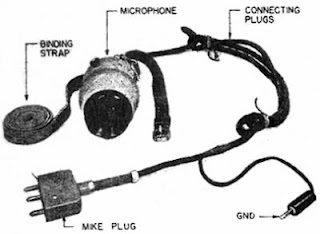 This video covers the US Special Forces Throat Mic and the options available for it. 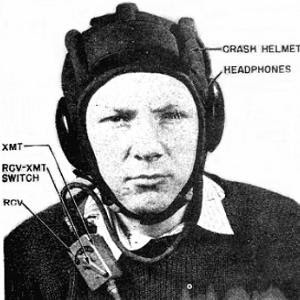 A comparision of recorded sound between a headset microphone and a throat microphone. I will try my best to find the local sources to try myself this throat mic and then I will give my own personal view about the pros and cons of this type of mic. ada bobby.. tapi untuk radio lah. bukan untuk phone. cari kat lowyat. dan kedai jual peralatan radio amatur. harga RM100+. tapi kalau orang tak pandai pakai. suara yang keluar akan jadi macam sengau. cara nak bercakap dia kene ada cakap perlahan. tak boleh cakap secara menengking. sebab getaran tu jadi sengau. pernah pakai. pinjam kawan pnye. aku ade yang jenis fbi nyer tu jer. clear tube handsfree. ala2 bodyguard orang2 besor tu.